I promised in my last post that I would have more recipe tributes to the late Florette Zuelke. Here is the first. 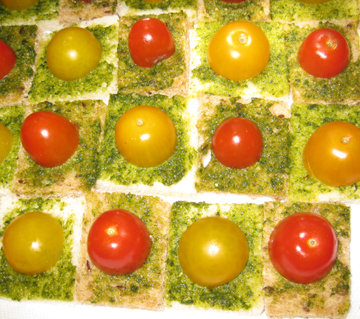 Ena and Michael Haines brought these lovely little open sandwiches to the memorial party for Florette last weekend. Both decorative and delicious, they epitomized Florette’s elegant cookery. 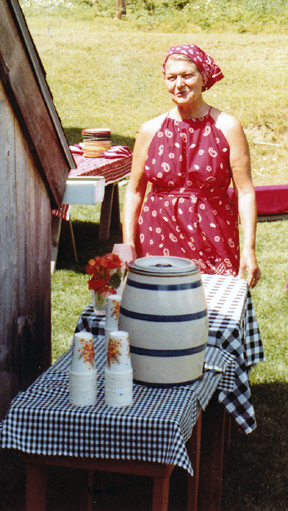 Ena grew up spending every summer at Singing Brook Farm in Hawley, Massachusetts, with her mother Toni and sister Betsy. When Ena married Michael, the Farm community welcomed him with open arms. Florette was the undisputed queen of chic clothing and cuisine in that community. A hint from me: the dense white sandwich bread in my recent recipe for BOLTs would probably work well for these squares. But I’m not pushing! Cut off the bread crusts and make a single layer of bread on a cutting board or cookie sheet. Spread the bread with pesto sauce. Halve the cherry tomatoes, leaving semispheres. Place the cherry tomatoes in rows, alternating colors for the checkerboard look. Cut the bread in squares, each holding a half tomato. The eye appeal, hand appeal, and mouth appeal of this dish make it a perfect summer hors d’oeuvre. Florette was a skillful and passionate gardener. An exacting cook, and a warm and charming hostess. She was generous with her time and efforts, loving to her friends, and fun to be with. Thank you, Florette. 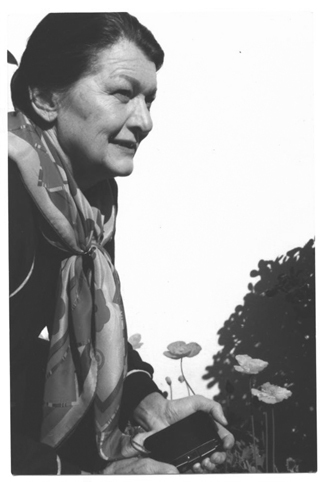 Florette in the Mid-1990s. Thanks to Sue Stone and Dennis Anderson for sharing photos for this remembrance. On Saturday our small community gathered to remember one of my hometown’s legendary personalities. Florette Zuelke, my neighbor in Hawley, Massachusetts, passed away in April at the age of 90. Florette will be remembered for her passion for Hawley’s history, for her sense of style, and for her strong opinions on a variety of subjects. Florette was a mixed blessing in many ways to her neighbors. Like most human beings, she had strengths that could also be liabilities. She painstakingly created gourmet meals, but her culinary perfectionism could daunt plainer cooks. She valued creativity, but those whom she judged less than creative often felt snubbed. She charmed men but tended to ignore (and therefore antagonize) their spouses. She was a caring friend but was frequently thwarted by her own forthrightness. She wanted the best for her neighbors and her town, but her idea of “the best” was often rigid and tended to frustrate those around her. She came up with countless brilliant ideas but usually wanted others to implement them. Perhaps most tryingly to her neighbors, she always wanted to bring appetizers to dinner parties—and invariably arrived an hour and a half late. Solitude and dementia claimed Florette long before death did, and she alienated many of her friends as she got older. Few of us visited her at the end of her life in the nursing home to which she had moved. In her heyday, however, Florette was amazing. Born in the small Midwestern city of Appleton, Wisconsin, she was raised with a strong sense of self and a love of music and culture. She moved to New York City to serve as executive secretary to conductor Robert Shaw at Juilliard and spent most of her professional career in music in one form or another. 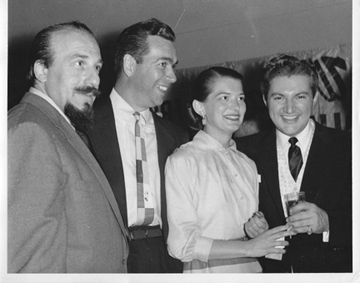 She helped singers find their pitch at the Robert Shaw Chorale; worked with renowned composer/businessman Goddard Lieberson at Columbia Records; and served in a unique capacity at the Tisch School of the Arts at New York University, preparing lavish receptions to follow the performances of visiting artists. Lieberson established the tradition of LPs at Columbia Records, nurtured the company’s classical department, and pioneered in recording original cast albums of Broadway musicals. I was always told that Lieberson was the love of Florette’s life, although their affair never supplanted his marriage to dancer Vera Zorina. 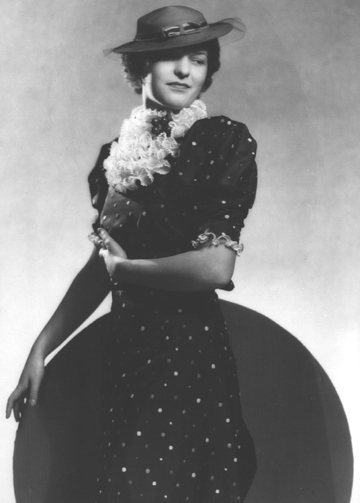 Florette became a close friend of composer Alice Parker at Juilliard and spent many summers renting an apartment at the Parkers’ Singing Brook Farm in Hawley. There she was a lively addition to what I remember as a golden summer community. Back in New York, where I visited her once or twice when I was a child, she looked exactly like the chic urban career girls in movies. She was fashionable, nerveless (when she couldn’t understand one of James Beard’s recipes she simply telephoned the famous food writer), and glamorous beyond belief. 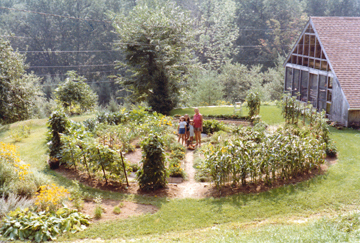 In the 1970s Florette decided to retire and build a home in Hawley, which she called “Hawleywood.” It featured an eclectic Yankee-barn floor plan and a fantastic circular garden. During a brief marriage she gave up her apartment in New York, a move that proved to be a mistake; her life’s artistry needed a grander palette than Hawley. Nevertheless, Florette threw herself into town affairs. She served as town clerk and was active in the historical commission. She participated in the resurrection of the Sons & Daughters of Hawley in the 1980s, helping to transform the organization from a venue for annual reunions into a full-fledged historical society. She organized projects for the Sons & Daughters, helped start their newsletter, and badgered a colleague into audiotaping the memories of older Hawleyites. She hosted meetings in which she cooked ambrosial food as ideas were thrown around by artists, historians, and humanists in town. Above all, Florette opened doors and resources to her friends and neighbors with the wave of a dramatically clad arm. She also offered amusement galore. Almost everyone I know has a Florette story. Peter Beck, who bought Florette’s house and was a good friend to her longer than most, shared one with me recently. In the mid-1980s, according to Peter, Route 2 in Charlemont was being paved. Driving to Avery’s General Store one day (probably much too fast), Florette was stopped by a policeman on the work detail. Unable to interpret his hand signals, she got out of her car and proceeded to instruct the man in the proper way to gesture. She dramatically swept her arms through the air to demonstrate how to signal a driver to stop or proceed. When she had finished with the poor fellow, says Peter, she went off to do her shopping—only to return on the way home with several pairs of white cotton gardening gloves purchased at Avery’s. She distributed them to the road crew, explaining that the men should wear the gloves in order to make their now graceful hand signals more visible to motorists. On Saturday we found time for lots of stories like this one, as well as a few songs. We enjoyed remembering Florette as she once was—elegant and caring; fun and funny; passionate about music, food, Hawley, gardens, and people. The last of those ideas was perhaps the most appropriate, given Auntie Mame’s signature line, “Life is a banquet.” It’s an apt epitaph for the loveable, maddening, delicious Florette. I can’t write about Florette without a recipe. This is the first of several Florette foods I’ll be featuring here. When we started asking friends and relatives what should be served at the party Saturday, “chili” was the invariable reply. Florette fell in love with this recipe sometime in the 1980s and gave chili spice packets to friends and relatives for holiday presents for years after that. She also sold the packets to raise funds for her favorite charities. I am indebted to Elizabeth Pyle, who watched Florette put together the spices years ago and took notes, for the recipe. Mixing the spices will make your house smell divine for days to come………. Mix thoroughly and whirl in a food processor to break down the red pepper flakes and combine. Makes 16 batches of chili. In a large stainless steel or enamelware kettle cook the onion, celery and garlic in oil over moderate heat, stirring, until the vegetables are wilted and soft. In a separate skillet cook the ground chuck, breaking it up with a fork, until it is no longer pink. Remove any excess fat and add the meat to the vegetables. Sprinkle the CHILI SPICES over the mixture. Add the tomatoes including the liquid, the tomato sauce, and the bouillon. Stir to blend the ingredients. Simmer the mixture partially covered for one hour, stirring occasionally to keep from sticking to bottom of kettle. After 1/2 hour add rinsed and drained kidney beans. Add salt and pepper if desired. Serves 10. “Blasphemous” does not mean “extra hot.”For a “hotter” chili add a little crushed red chili pepper. For a milder chili add 2 or 3 cups of cooked spaghetti twists. 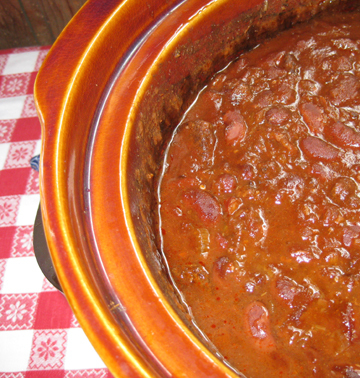 The flavor improves with age and is best when chili is made ahead of serving time and reheated. 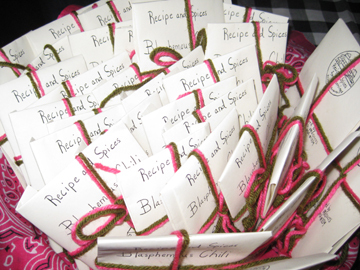 Liza Pyle, who loved Florette all her life, made packets of chili spices for the Florette party. Peter Beck, mentioned above, has put two posts about Florette on his own blog, Flaneur du Pays. One features a not-to-be-missed photograph of my neighbor and friend, Alice Parker Pyle, in a fixture of Florette’s home (as eccentric as she was herself), the soaking tub. They are “Thinking About Florette” and “Florette Continued.” Do take a look! And I also offer links to two other recipes that relate to Florette: Toni’s Salmon Mousse and Checkerboard Cherry Tomatoes. I’m a big fan of the 16th president of the United States. Abe Lincoln has plenty of people to sing his praises today on his 200th birthday, however, so I’m going to write instead about another Abraham born on February 12. 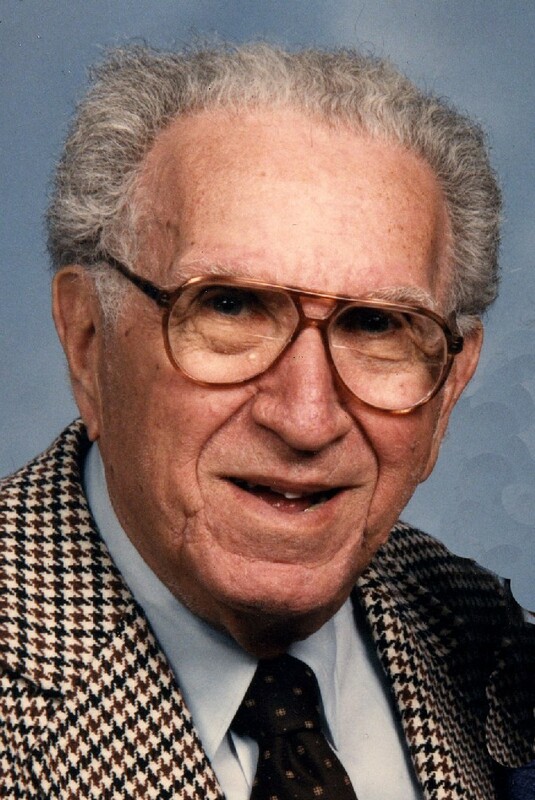 My father, who died in 1998, would have turned 90 today. When I was small I assumed that my father was a namesake of the more famous Abe who shared his birthday. As I grew older I learned that this was unlikely since OUR Abe was born in the spa town of Ciechocinek, Poland. His family came to the United States when he was less than two years old. 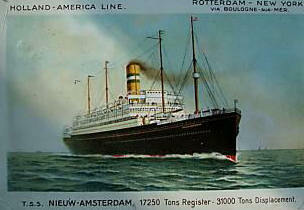 According to archival information at Ellis Island, the Weisblats arrived on the Holland-America Line ship the Nieuw Amsterdam on December 20, 1920. So the first name was a coincidence—one that made it easy to remember my father’s birthday. My father was the first member (of many) in his family to go to college. 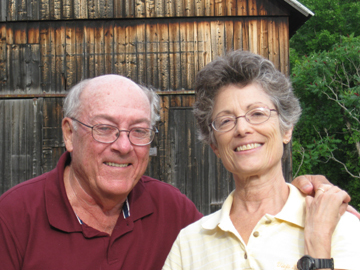 Earning a Ph.D. in agricultural economics, he had an eclectic career in the foundation world. 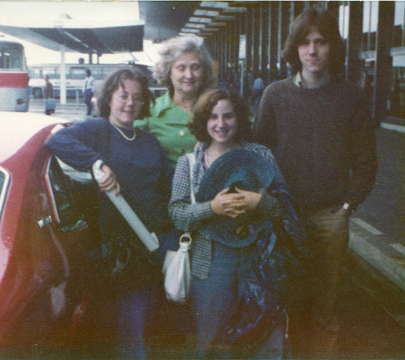 We lived overseas a lot. When we lived in the United States, I loved to visit his offices in Rockefeller Center. They seemed ideal places in which to work. He always had art on the walls. He always had pleasant people to talk to down the hall (mostly women; my father loved women). He always had a couch for visiting and napping. And he always had a spectacular view. When people asked the teenage me what Abe Weisblat did for a living, I usually said that he talked on the telephone. That was all I ever saw him do. As I got older, I realized that his lengthy conversations on the phone constituted hard and effective work. He had a knack for getting people to listen to each other, for explaining the work and point of view of one person to another person with different training and/or nationality. He loved his work, and that example has been a challenge for his children. My brother who likes but doesn’t really adore his career tends to be ambivalent about the whole idea of working, wondering perhaps why he doesn’t get the same kind of satisfaction my father did from his labors. I love my work but make very little money from it. I’m reluctant to find something different and more lucrative do to, however, since my father taught me that work is supposed to be fulfilling. His marriage provided an equally difficult example to live up to. He and my mother were an ideal couple. They were smart, knowledgeable, loving, and charming in completely different ways. They always respected each others’ talents, although they didn’t always agree. My father used to say that always agreeing with someone would be boring. Their life together was never boring. Beyond the family my father also shone. He was simply wonderful with people. He had an interest in just about everyone he met, and he loved to mentor younger professionals in the foundation world and in academia. He never felt jealous of anyone else for an instant. One evening at Singing Brook Farm a group of us were discussing the play The Trip to Bountiful, in which an elderly woman is obsessed with returning to the childhood home in which she remembers being happy. We each took turns identifying our own Bountiful, our special place that represented home and security and happy memories. When my father’s turn came, he explained that his home wasn’t geographic. It was people. And many of them were in the room with him. What a gift! My father seldom cooked so I don’t have a lot of recipes to share from him. 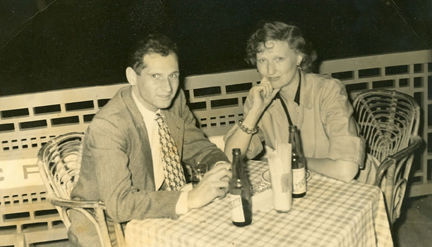 His favorite meal when he was alone (which wasn’t very often) was a jar of pickled herring, a martini, and some matzo. He liked to boast that he only needed one fork for this repast since he could use the same one for the martini olive and the herring! 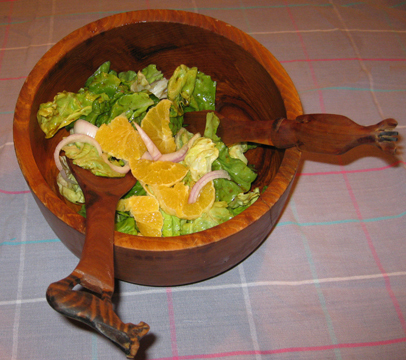 For company he did occasionally like to put together a salad of lettuce, oranges, and red onions. (He usually got someone else to wash the lettuce and slice the oranges and onions!) Here is my adaptation of that recipe. He usually tossed it with a classic French vinaigrette, but I like to make it with my maple balsamic salad dressing. Enjoy making and eating it—and think of a father, mother, or grandmother whose birthday is near. Let’s wish them all a happy birthday and cherish their presence or their memory. Break up the lettuce with your fingers. 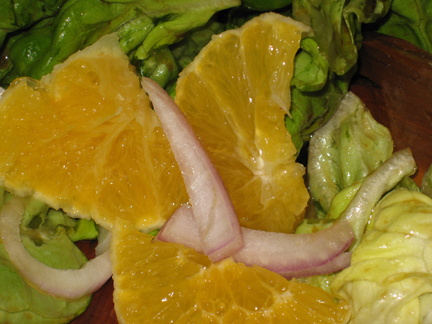 Place it in a salad bowl with the orange and onion slices. In a glass jar with a tight-fitting lid, combine the vinegar, syrup, garlic, mustard, water, salt, and pepper. Shake thoroughly. Add the oil, and shake again. Pour a third to half of the vinaigrette over the salad, and toss well. Add a little more if you think you need it. (Leftover vinaigrette may be stored in the refrigerator for up to a month; just be sure to bring it to room temperature and shake it again before using it). 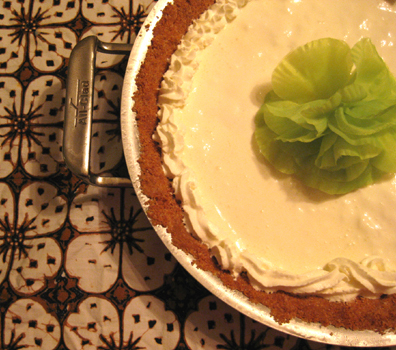 I didn't actually slice everything as thinly as I should have--but I hope you get the idea!